HomeArtsy MamaGreat Date Night Giveaway: An American in Paris at the Walton Arts Center + dinner at Bordinos! 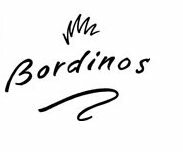 Great Date Night Giveaway: An American in Paris at the Walton Arts Center + dinner at Bordinos! 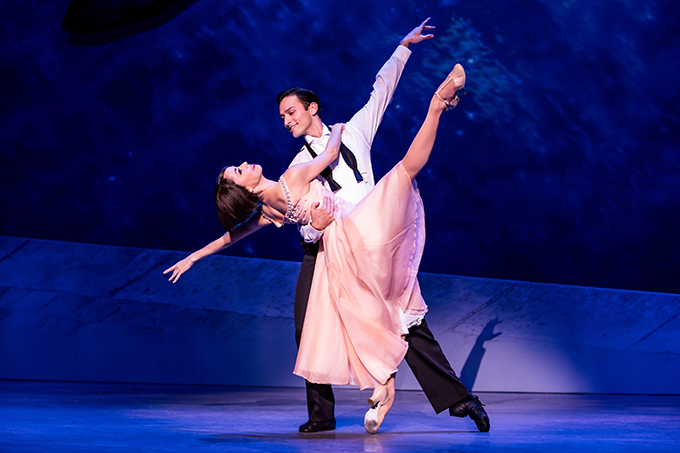 We’ve got 2 tickets to see An American in Paris on stage at Walton Arts Center on Feb. 6th + dinner out at the ever-popular date night destination, Bordinos Restaurant. Sounds great, right?! An American In Paris is the new Tony Award®-winning musical about an American soldier, a mysterious French girl and an indomitable European city, each yearning for a new beginning in the aftermath of war. Acclaimed director/choreographer and 2015 Tony Award®-winner Christopher Wheeldon brings the magic and romance of Paris into perfect harmony with unforgettable songs. 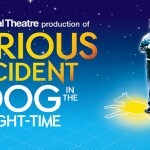 This show is part of the Broadway Book Club. You can also meet for lunch before the Thursday matinee! Click here for all the details. 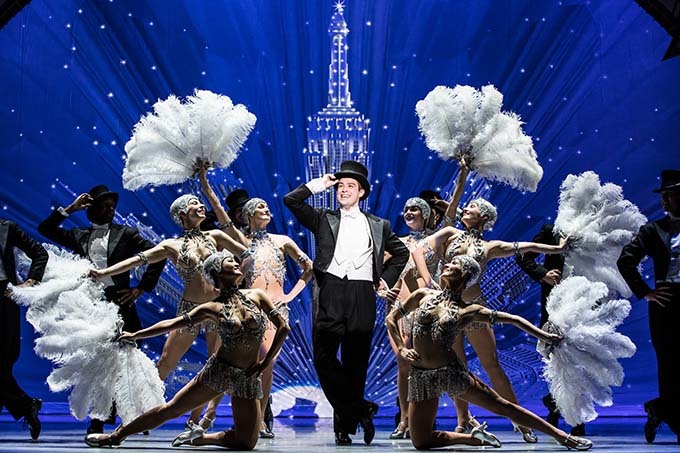 HOW TO ENTER: An American in Paris runs Feb. 6-11. 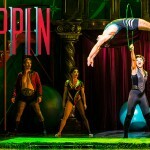 If you’d love to win these 2 date night tickets to see the show on opening night PLUS dinner at Bordinos (if you’ve never been there, Bordinos is on Dickson Street and has AHmazing food + atmosphere! ), click on the word “comments” (right under the headline of this post) and scroll down to the bottom of the comments posted by other moms. You can also email your answer to us at giveaways@nwaMotherlode.com. INCREASE YOUR ODDS OF WINNING: Help us spread the word about this giveaway by emailing your friends and family about the giveaway. We’ll give you an extra chance to win for every person you tell. Just be sure to put giveaways@nwaMotherlode.com on the CC line of your note so we can give you proper credit. Our newsletter subscribers get access to the good stuff, including exclusive giveaways, information about local events, local mom interviews, recipes and more. It’s delivered straight to your inbox so you don’t miss anything awesome. CLICK HERE to sign up. We won’t fill your inbox with info, no worries. We only send out newsletters when there’s something in it for you — and we know you’ll be interested in hearing about it. BE SOCIAL: You can also earn extra chances to win by commenting on our Facebook page, following us on Twitter or following us on Pinterest. If you do any of those, just mention it in your comment or email so we can give you proper credit. We’ll choose the winner at RANDOM on Friday, so keep an eye on your inbox! CLICK HERE to get your tickets to see An American in Paris (if you don’t want to take any chances). 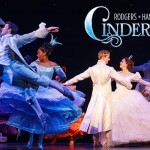 Giveaway: Tickets to see Cinderella at Walton Arts Center + U.S. Pizza! 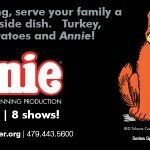 Giveaway: Tickets to see Annie on stage at Walton Arts Center! 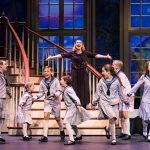 Ticket Giveaway: Win 4 free tickets to see The Sound of Music at Walton Arts Center! We don’t have anything big planned, but I always look forward to summer trips with the family! I also commented on Facebook and follow on Pinterest. Looking forward to a good year, hopefully with a trip to the beach! Looking forward to better weather so we can be outside! We will celebrate 15 years of marriage this year! I turned 30 this past November and I am looking forward to making this upcoming year the best I can. I plan to finally take a chance and work towards making my dream of owning a small business a reality! I look forward to making memories with my children and husband as well! I’m hoping got some real snow days this year! I commented on Facebook (Ashley Byrd-Pharr) and follow on Twitter (PharrSideofAR) and Pinterest. I have 2 kids graduating this year! One from high school and one from UA! Looking forward to warm weather and summer fun! I’m looking forward to seeing the Avett Brothers in Tulsa in March. I love those guys and I’ve seen them 2 times, but I’m still super excited for a weekend away with my husband. We’re planning a road trip to the west coast! Can’t wait to see new things! Looking forward to fun summer activities with the fam! We have been in a rental for 4 years and we have started our new house!! I am so excited! We’re looking forward to a trip to Vancouver! We are looking forward to hearing the stories from our Girl Scouts after they come back from their summer trips! My husband , 2 children and I just moved here a couple of months ago. We moved from Austin, TX and are so excited to explore and get to know NWA!!! So far… we love it. Looking forward to a long weekend in Chicago & spending Christmas in Florida! We have several trips planned but I’m most excited about a European tour in August! Will be going to Paris, so this would be awesome! I haven’t been on a trip without my kids since my 13 year old was a toddler. I just booked a mini-vacation in to visit one of my best friends in Phoenix in February. We are going to drive out to LA for a couple of days and see a few of the sites! I’m super excited! Looking forward to warmer weather! Hopefully a trip to Colorado! But I would love to be an American in Paris! No big trips or events planned but 2018 is going to be the best year yet. I am going to be more present and be more in the moment. This year I will be the most true to myself yet and I will see more of the woman that have have been trying to grow to be. Those are my plans for this years. Love myself and veryine around me better. Oh gosh! This would be such a fun night out! I am looking forward to celebrating 10 years with my husband! I’m also looking forward to competing in more triathlons! I follow you on twitter, pinterest, receive the email, and have commented on Facebook!! I need as many chances as I can get! I would love to surprise my sweet husband. He is the most romantic man in the world! I’m looking forward to watching my 4yo and 14mo grow. The baby is getting so fun and it is just fun to watch her learn and explore, and watch the two of them grow closer together. We are expecting our second daughter at the end of February, so this would be such a refreshing last big date night out before we have two little girls at home! We’re so looking forward to the new baby and seeing our first daughter grow into her big sister role. I never had a sister so I’m anxious to see that bond develop and pray they are great friends! Looking forward to living back in NWA and getting to experience what NWA has to offer. I’m looking forward to my husband turning the big 4-0!! Our oldest is also hitting a big number, double digits! 10! We’re planning to take a trip to celebrate! We have always lived 600 miles from grandparents but my parents are relocating here later this year, so looking forward to the kids having closer grandparents for the first time in their lives. I’m looking forward to a year in which we’ll be adding a driver to the house. Even though having a 16 year old driver is a bit nerve wracking, it’s also exciting! And he’s already bought his own car with his own money! I am looking forward to taking my kids to Disney World! They have never been before and I am so excited to share this wonderful experience with them!! Looking forward to a cruise in February with my husband!! Looking forward to our beach vacation! I’m looking forward to a summer vacation planned with friends! Looking forward to the beach and warmer weather this summer! We are going skiing and it will be my boys first time. So excited! Looking forward to trip home to Chicago with my sister and daughter to finally spread ashes of our mom and dad in Lake Michigan!! Will see lots of friends and relatives. Just looking forward to a fresh start of positive thinking (both personally and professionally)! February is a big birthday month for us. We’ll be celebrating! It’s always lots of laughter and memories made! I’m looking forward to our new addition come August!! Brand new baby! This year we will be building a new house for our family of 5. I cannot wait to start making memories there! Looking forward to going to coloarado this summer with our family! We are looking forward to a trip to California this year! We want to take a quick tour through Yosemite, Lake Tahoe, sequoia Park, and Kings Canyon. Will bea trip of a lifetime and we’re saving all our pennies for it! So it’d be great to win this date night so we can have a little splurge in the meantime! Spring break! We are taking our kids (ages 21, 16, 9, and 7) to Colorado. Looking forward to making memories! This would be SO perfect!!! My bday is Feb 8 and I would love this —- perfect way to celebrate!!! Looking forward to family vacation this year, hopefully to Bahamas, and 20 year wedding Anniversary in April! I’m looking forward to a new baby this summer, and helping my parents get moved into a new house in the next few weeks! I’m looking forward to warmer weather and spending quality time outside with my family! Im trying to take more time to focus on me and my relationships . One of the ways I’m trying to accomplish this goal is to go on dates with my hubby more than the total 5 dates we had last year. We have 3 children with 2 of HRM having special needs so its very difficult to find the money, time and most importantly a sitter that can successfully handle our crew. I’m looking forward to the adventure of the year. We don’t have any big plans, but I know the year will have lots in store! I’m looking forward to traveling some this year. We’re hoping to go back to California. A beach trip with my parents and siblings/ sibs-in-law and all of the cousins. Those times together are so sweet. We have been try to plan a family trip for years, but something always comes up. So maybe this year will be the year we actually get to go on vacay! I’m looking forward to good health and no more surgeries! Pick me please!! My husband and I own Budget Blinds and never ever thought we would be able to travel the world with the incentive trips our vendors giveaway. This year 2018 we will be traveling to Prague, all expenses paid by our vendor. This year is also Special as it is our 25th anniversary of being married and 25th Anniversary of Budget Blinds being in business.